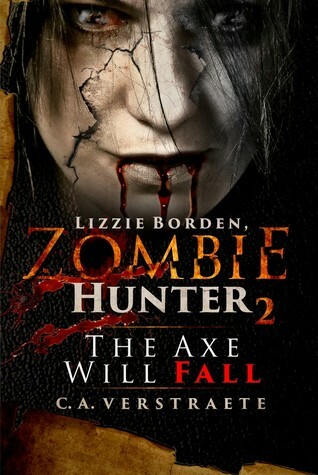 Lizzie Borden is trying to get her life back on track after the tragic deaths of her parents and the subsequent trial. She is trying to make sense of the mystery that is unraveling in her tiny town. The threat had supposedly been taken care of but the zombies are back. Her sister is now in the wind and she is determined to find her. 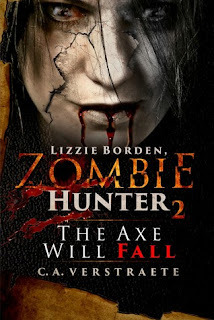 Lizzie and Pierre set out to save the people of Falls River. This book was a quick read for me. It picks up where book one left off. We see the burgeoning relationship between Lizzie and Pierre. I really hope they become a power couple. These are fun reads if you like mystery and some gory elements in your stories. Thanks for the post and the review! I love that gif!